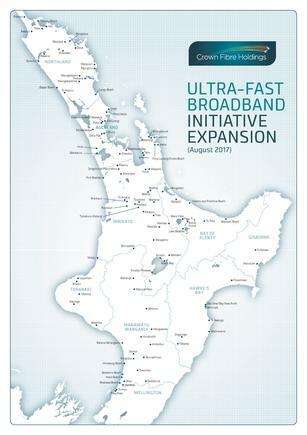 The Government has announced it will bring forward the completion of the UFB2 rollout by two years to the end of 2022 and will invest $270 million to roll out Ultra-Fast Broadband (UFB) to 190 more small towns extending rural broadband to a further 74,000 households and businesses, in the same period. $130 million will be spent to extend UFB to another 60,000 households and businesses in 190 new towns and complete the network by 2022 and $140 million to extend rural coverage of high speed broadband under the Rural Broadband Initiative (RBI) to another 74,000 rural households and businesses, and to deliver mobile coverage on 1000 kilometres of rural highways and more than 100 tourist areas through the Mobile Black Spot Fund (MBSF). Announcing the move, communications minister Simon Bridges said the government wanted to ensure that some of the biggest sectors of the economy that operate in rural New Zealand – agriculture and tourism – could benefit from the productivity improvements offered by better connectivity. He added: “The Mobile Black Spot Fund will improve public safety and visitor experiences by providing greater mobile coverage on stretches of State Highway and in tourism locations where no coverage currently exists. We are providing coverage along remote parts of the State Highway network that until now had no coverage at all. For example, State Highway 6 on the West Coast and State Highway 1 in the Far North. He said completion of the projects would take the Government’s total investment to $2 billion and make New Zealand one of the top five countries in the OECD for access to high speed broadband. 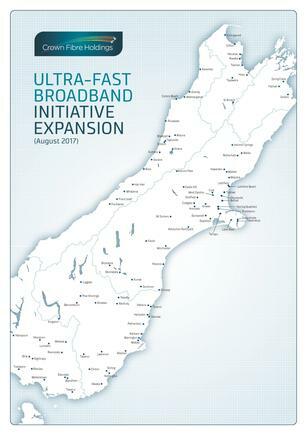 “By 2022, 87 percent of New Zealanders will have access to UFB and 99 percent will have access to high speed internet. Chorus will undertake the bulk of the additional UFB rollout. The company said its share of the project would see it add 54,500 rural premises to its UFB network at an expected communal cost of $135m - $155m. Chorus said it would also spend around $20 million to deploy VDSL vectoring capability in rural and local fibre company areas during FY18, and this had potential to improve broadband performance for up to 360,000 customers in these areas.